You spend so much of your time at work—so why work in a boring space? 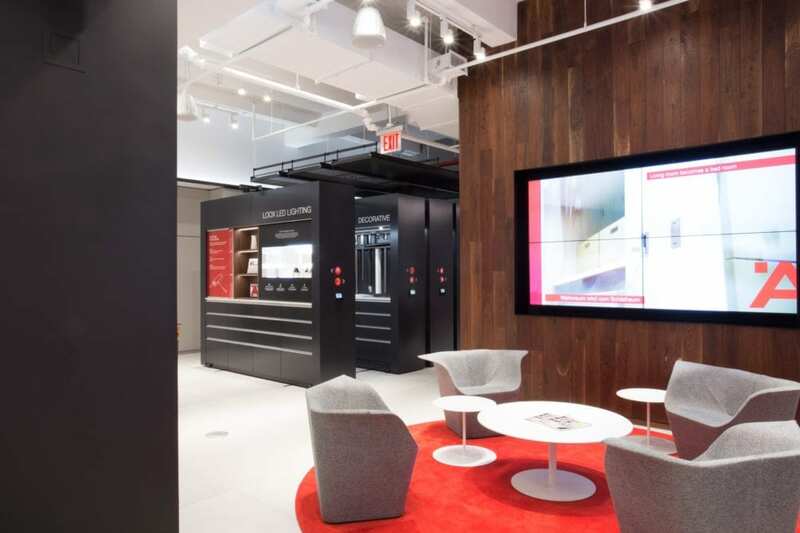 From the number of companies embracing open office concepts, to the rise of coworking and hoteling, to the way retail and shopping experiences are transforming, one thing is clear—companies realize that the way offices and spaces are designed have everything to do with how employees perform and how business is conducted. This is where storage can help. In today’s world, there is no room for inefficiency, and with employers creating attractive, open workspaces, it’s important to find a way to keep supplies and goods organized and easy to find. We’ve teamed up with several companies to bring you a variety of business storage solutions that create organization and efficiency no matter what your business is. Being able to think together, move fast, and exchange ideas is the standard for companies today. 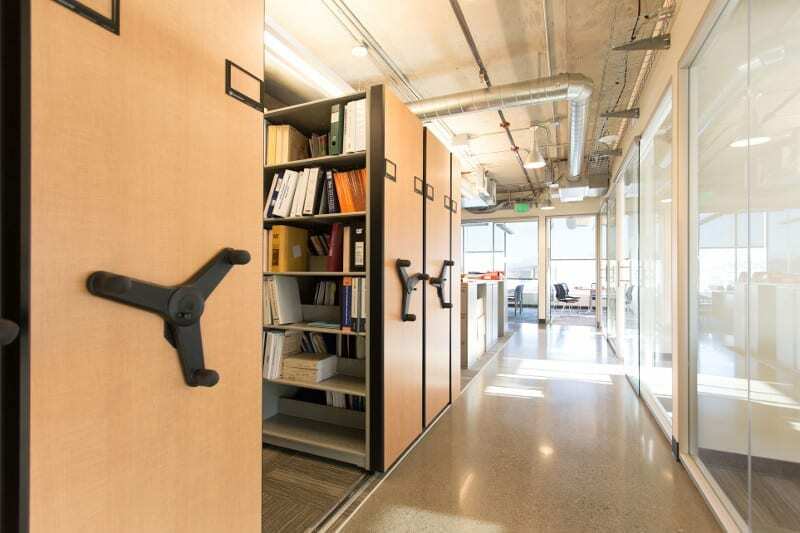 With high-density mobile shelving and day lockers to help store your company’s equipment and records, the possibilities of your space are limitless. When it comes to a security breach, it isn’t if it will happen—it’s when. To keep these files and records secure, it’s important to limit access only to the people who need it. A high-density mobile system with Touch Technology Control or Touchpad Aisle Access Control is a great way to ensure that access to files and important documents is restricted. 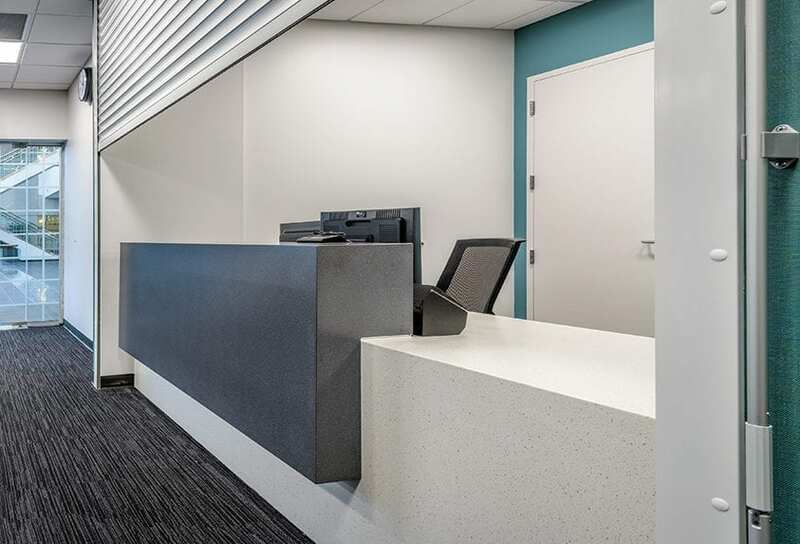 Reception areas are often the first impression of your company—and it’s important to make it a good one. 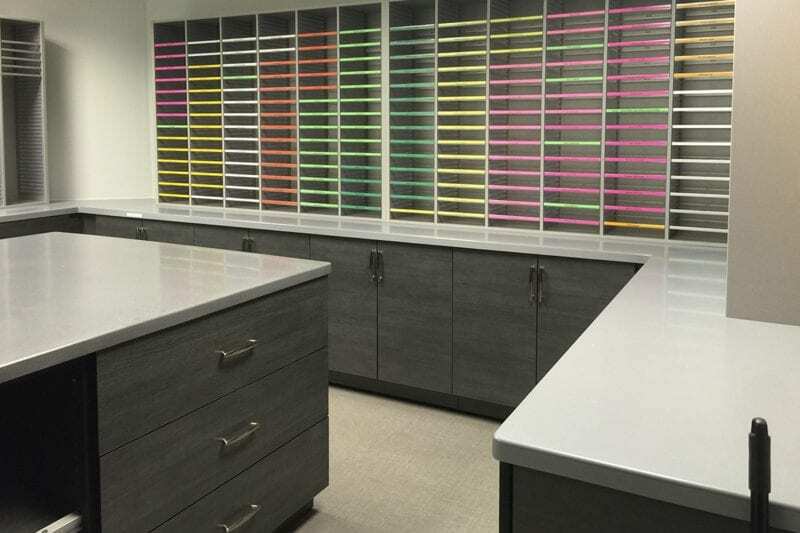 Blending traditional furniture with modern modular casework, we can work with you to create an inviting and practical space for your office entry. Our mail center systems offer a flexible, secure, and auditable method for package and mail distribution to help increase your mail center’s efficiency and productivity. Completely customizable, our systems reconfigure easily and are offered in a variety of sizes to best suit your needs.